Amanda’s note: Here’s another interesting post by Carol Little from Studio Botanica. Carol is a long-time herbalist with experience in controlling blood sugar. It’s a topic of increasing interest to readers here at Fresh Bites Daily and so she shares one of her favorite remedies here. ~~~Are you at risk for diabetes? It may surprise you to learn that 10% of North Americans have this chronic disabling disease. I was shocked to learn that some ethnic groups are recorded to have much higher risks (here). Every year the numbers rise. Some say we are in the midst of a modern epidemic. As an herbalist, I am often asked “What can I do to avoid diabetes?” or “What can I do to better control my own blood sugar count?” There are definitely lifestyle choices to be made. We all know that we need to “move” more. What many don’t know is that when we move every day – even just a brisk walk, we get our lymphatic system “pumping” and this helps our immune system. For most of us, we feel more energetic. Dietary choices can make a big difference too. Choose to eat real ‘whole’ foods, in their natural state. Shop the outer aisles at the grocery store and purchase fresh vegetables, fruit, and good quality meat. Avoid packaged foods. REAL food is key. There’s a lot more to it of course, and lots of good information available for dietary suggestions that you can find here. Small choices, day by day, can and do make a difference in how we feel. Today I want to share my own favourite blood sugar lowering herb. Cinnamon has been shown to help to lower blood sugar levels when taken regularly. That should make you smile if you remember the enticing scents of cinnamon coming from the kitchen. Cinnamon evokes happy memories for many of us. Studies have shown that 1/2 teaspoon of powdered cinnamon added to your day can make a difference. Measure 1/2-1 teaspoon of powdered aromatic cinnamon into smoothies or in a glass of warm milk or very tasty blended apple juice. For those with diabetes, cinnamon is best taken ‘shaken OR stirred’ into drinks or meals, without added sweetener. Oatmeal is nutritious and a nervous system super-star. Top with cinnamon. Enjoy a warm beverage. Add cinnamon. Stir into your coffee, latte, or tea. Use in savory dishes. Cinnamon is a part of ‘herb & spice mixes’ in many cultures around the world. Have you tried Moroccan cuisine? North African vegetarian and meat dishes use a lot of cinnamon. Mix together the dry spices. I make two versions of this one — one without the cayenne for my younger family members. Make sure to label immediately to avoid ‘adventures in the kitchen’ if they get mixed up! This tonic makes it easy to consume more cinnamon. It is very tasty as a glaze with roasted root veggies or drizzled over chicken or pork. 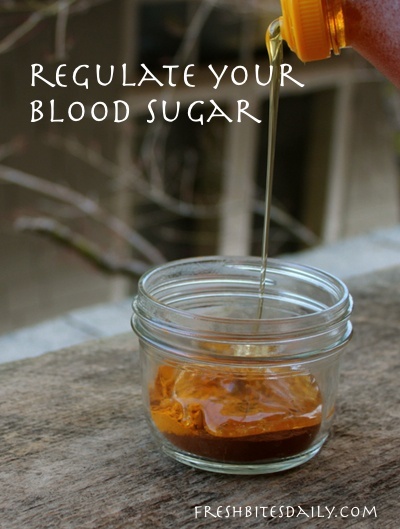 It can be added to your tea or other warm beverages, or taken with a glass of water. Whichever way it works for you ~ Add more cinnamon to your meals. It’s a good thing. Find more from Carol about cinnamon at Studio Botanica (here). Find your other favorite herbs while your there.